Today I started an online Calligraphy workshop. I really like it. One of the supplies for the workshop is a Tombow brush pen. I have smaller Tombows, but this pen is awesome! 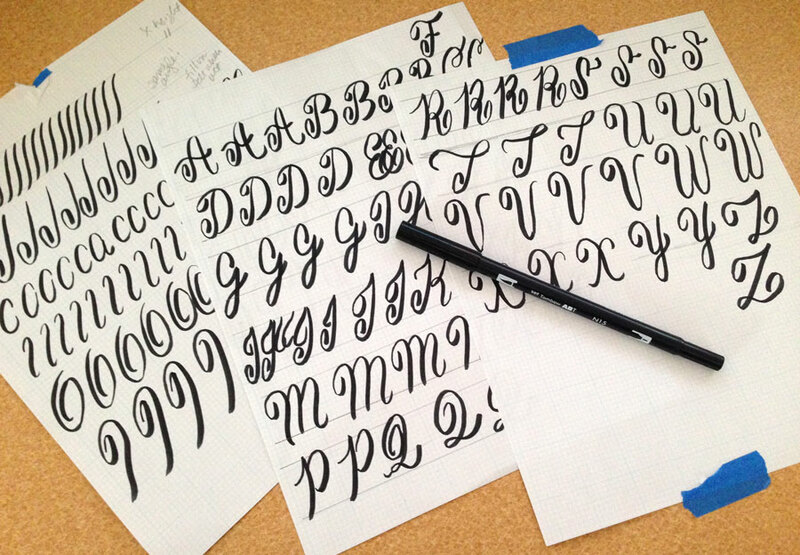 This is exactly what I was looking for – hand lettering with a brush (not a nib and ink). The pen makes it almost easy. The workshop is about an 90 minutes. I made it halfway through. I still have to do the lowercase letters. I’m so impatient, I want to jump right to the fun stuff! I know taking the time to learn each letter and practice will pay off. Can’t wait to show you! Categories: Lettering | Tags: Art, calligraphy, lettering | Permalink. I can’t wait either! So cool! I need a lot of practice! I was laughing comparing my letters to the teacher’s.